The president will be jetting out of Nigeria within the next 24 hours. He will join other Heads of State in a meeting in Aqaba, Jordan on December 2, to review strategies in fighting terrorism. The summit would discuss reinforcements needed in the joint security structures of each country to make it more proactive to prevent attacks. President Buhari's planned participation in the summit was announced on Thursday by the spokesman for the President, Femi Adesina. The meeting, tagged; AQABA RETREAT, would be hosted by His Majesty, King Abdullah II of Jordan. According to him, West African Heads of State, representatives of governments of 48 countries and a number of key Non-Governmental Organisations (NGOs) are expected to attend the meeting. “At the meeting, the President is expected to share Nigeria’s experience on terrorism and its spread across West Africa, with a view to soliciting more support for pre-emptive measures that will neutralise the activities of insurgents in the sub-region,’’ he added. The presidential media aide said the Nigerian leader would also hold bilateral meetings with some Heads of States to strengthen relations. President Buhari and his delegation would attend the official dinner to be hosted by King Abdullah II in honour of visiting Heads of States and their delegations. The News Agency of Nigeria says Buhari may speak on the policy framework and national action which is believed to be tailored toward addressing the conditions conducive to the spread of terrorism. The president had earlier on Aug. 24, signed a presidential directive for the implementation of the policy framework and national action plan for preventing and countering violent extremism. 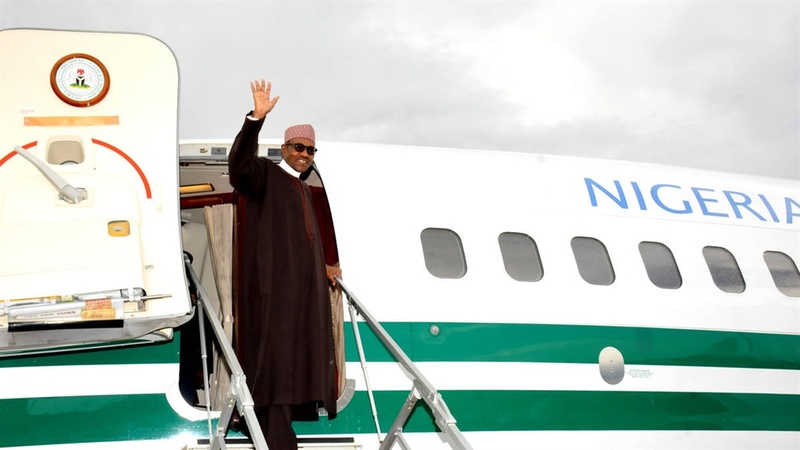 Buhari, who will be accompanied to Jordan by the governors of Kogi, Osun and Niger, just returned from Abidjan-Cote D'Ivoire where he attended an EU-AU summit. Others on the President’s entourage are the Ministers of Defence, Education, Foreign Affairs; the National Security Adviser, and the Acting Director-General of the National Intelligence Agency.